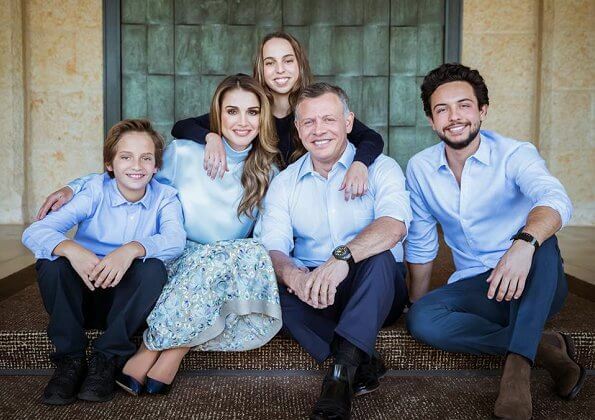 Queen Rania of Jordan released a family photo showing herself, King Abdullah, Crown Prince Hussein, Prince Hashem and Princess Salma with the title "As we begin 2018, best wishes from my family (in addition to Iman who is away at college) to yours". Oh.... Princess Iman is missing. She is a great beauty.